People often suffer from pain in their back. There is rarely a person that does not experience some type of back pain at some point in their lifetime. 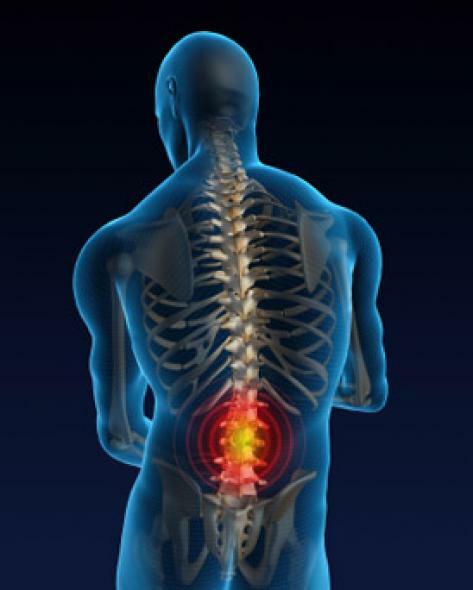 Often times, back pain symptoms are quite typical and include tension, stiffness, and soreness, among others. However, causes of back pain can also lead to symptoms felt in other areas of the body, including the thighs, buttocks, shoulders and neck. The origin of this pain can differ greatly. Regardless, the signs and symptoms of back pain can help to guide you in determining their cause. Pain in the back, the shoulders, and the neck can be diagnosed as back pain. However, there are some disorders that can be misdiagnosed due to their widespread symptoms or similarity to back pain. Sciatica: Pressure on the sciatic nerve, often due to tight musculature in the buttocks, that can cause pain in the lower back. This pain may move down the buttocks and into the legs. Slipped disc: This condition may result in lower back soreness and weakness, loss of bladder control, or tight muscles. Ankylosing spondylitis: This can cause back pain, swollen tendons and joints, tiredness, and buttock pain. Arthritis: Arthritis of the joints between the vertebrae can cause back pain, especially when walking. It can also result in morning stiffness. Frozen shoulder: This often leads to shoulder pain and stiffness. Whiplash: This condition may result in headaches, lower back pain, neck pain, and stiffness. If you are feeling weakness, numbness, or severe tingling in the arms, the legs, or groin, you may be suffering from more severe nerve damage. In addition, if you are feeling pain that extends from the back and down the legs, this may be a sign of sciatica. If your back pain increases when you bend forward at the waist or when you cough, you may have a herniated disc. If you have a fever or experience a burning sensation while urinating, you may be suffering from an infection. Back pain is a common occurrence that can cause mild to severe discomfort. Though this type of pain is common, it’s important to understand the signs and symptoms that could point to serious injury or disorders. Be sure to consult your doctor with any of these concerns to avoid additional injury and to get the pain and relief you deserve.